One of the art panels for the Expo/Crenshaw station. As construction of the Expo Line moves forward, many new features of the stations are starting to take shape. 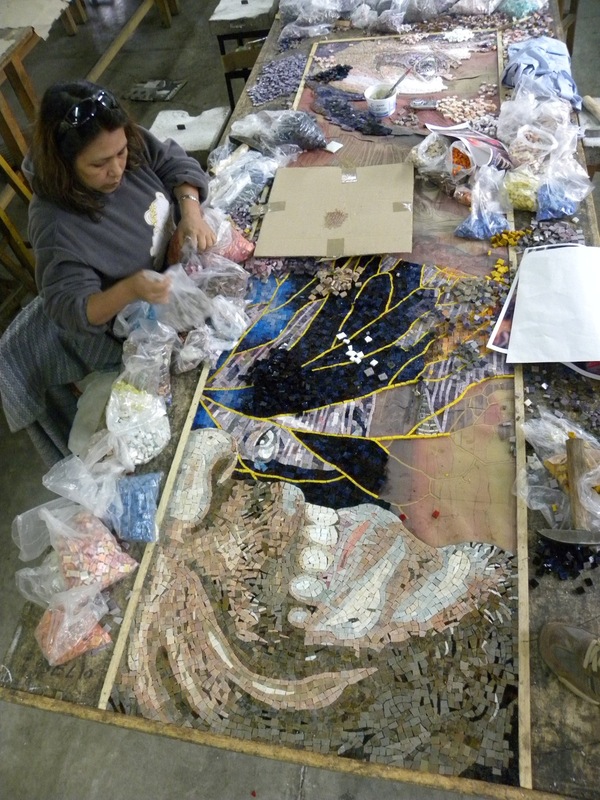 Tiny pieces of glass mosaic are pieced together to create the art panels. The canopies are in place and pavers line the walkway. But there are a few painted steel support structures on the platforms that are noticeably empty. That’s because those structures will hold framed artworks that are currently being made off site. Over the coming weeks we’ll take a behind-the-scenes tour of the artwork, which comprises 176 art panels in total. This post highlights the work of Willie Robert Middlebrook Jr. who has designed 24 art panels for the Expo/Crenshaw station (here’s a link to more info about Willie). The work explores complex communications between diverse populations and between humans and the earth. The bold color palette is designed to echo the stained glass windows at West Angeles Church of God in Christ, which is adjacent to the Crenshaw station platform. Original designs for each of the art panels were created over several months. The final designs were then sent to a fabricator to be translated from works on paper into durable materials suitable for a high-use transit environment. Glass mosaic was selected as the fabrication material. First, sheets of opaque and custom colored glass are created at Perdomo, the artwork fabricator, to match the artist’s color selection. Next, the sheets are snipped by hand and assembled one tiny piece at a time by a team of artisans. Many of these artisans began their careers at Perdomo more than 30 years ago and are now joined by their adult children who are the next generation of mosaic artisans. Above and below are images of the artwork in the studio. Keep your eye out for more to come as the work progresses. This is some beautiful art. Can’t wait to see it in the station. Can Metro please do a better job maintaining the art? Metro puts this art in the stations than does not maintain it. Those classic car type benches in one of the Red Line stations, Hollywood/Western maybe, are all scratched up with graffiti and look horrible. They have been that way for as long as I can remember and I have been riding the Red Line since 2000. No art is better than deteriorating and defaced art. AFter seeing its birth, it is wonderful to see it come to fruition. What a treat. But, i too, hope it is maintained for years and years to come. It is wonderful to see this article about this amazing mosaic! Congratulations! 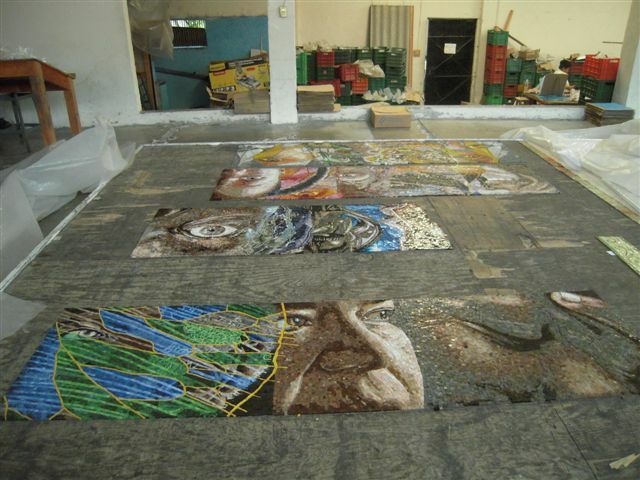 In 2 weeks I will be with the Perdomos in Cuernavaca for our smalti mosaic class (www.MozaicsInMexico.com ). I will see it in person and take some additional photos. I can post these on my Facebook page and our website. 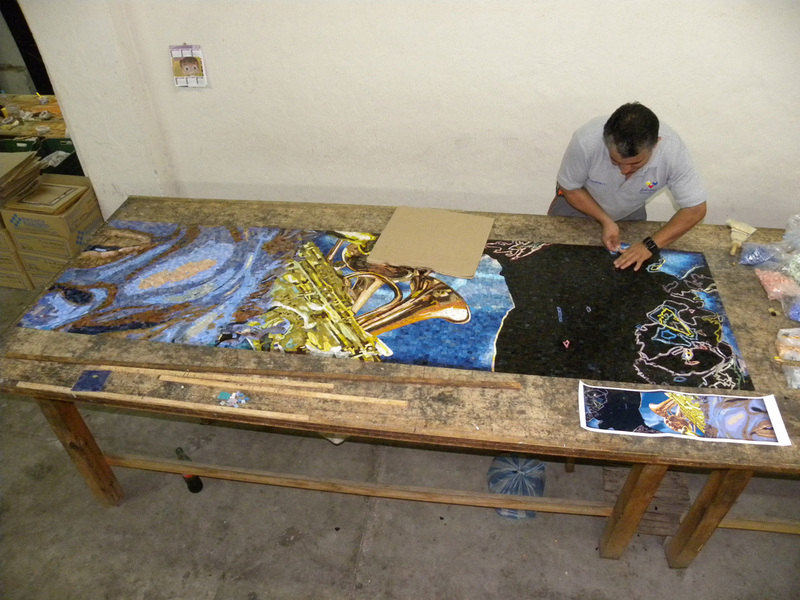 Attending students also get a visit to the Perdomo studios where these large scale mosaics are fabricated. It is always an amazing experience; there is no other place like it. oh my gawd Mr. Middlebrook! are you kidding me? this is hot! 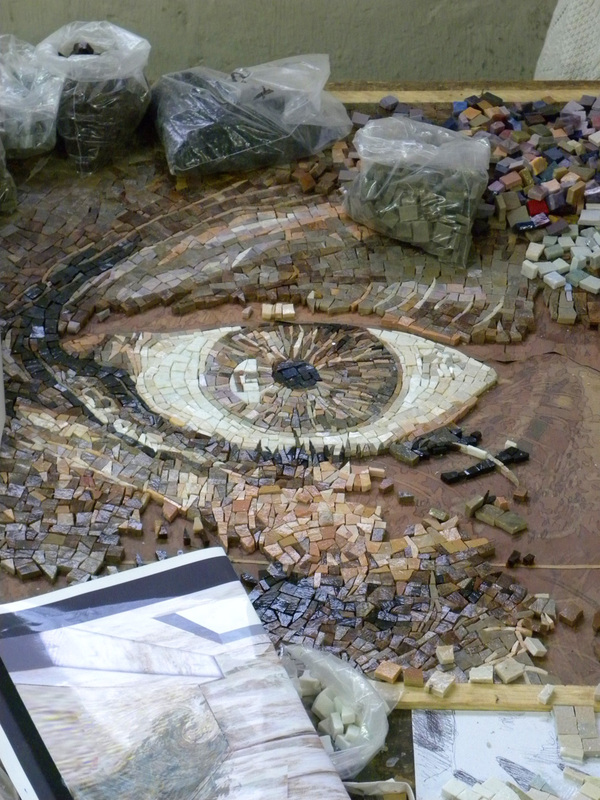 is that your eyeball in the piece second from the front? magnificent! love this. This is absolutely beautiful! I hope that I can see it in person.